Traditional medicine is one form of treatment for ailments that most Nigerians relied on centuries ago. It still works. Nigeria is blessed with different shrubs and herbs that are potent in the treatment of different ailments, but traditional medicine sector is still far from being developed. Only few persons sell herbal medicines and roots, but exportation of this resource is still far from being explored. Before orthodox medicine became popular, Nigerians used herbs, popularly referred to as 'Agbo' in Nigeria's Western region, for the treatment of malaria, prostrate cancer, hypertension, typhoid and many other ailments and it worked.It still works today. Even recently, some trado-medical healers offered to cure President Muhammadu Buhari, to prove how potent their medicine is. 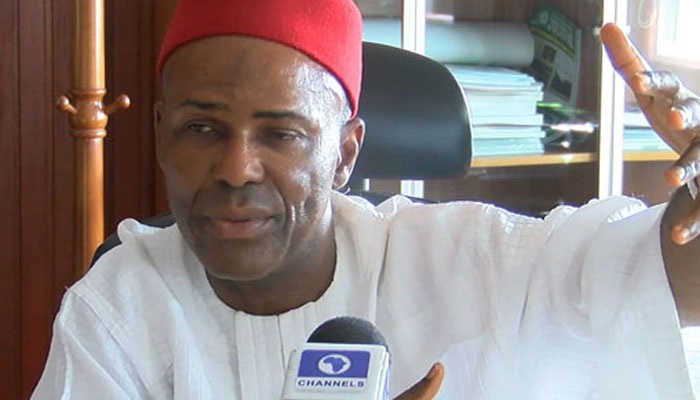 The medicine is getting government's attention, as the the Minister of Science and Technology, Dr. Ogbonnaya Onu, said the government is considering exporting herbal medicine. He was at Adavieba community in Adavi Local Government of Kogi State and he visited renowned traditional medicine practitioner, Pa Aliyu Giwa. One worry the government has, as expressed by Dr. Onu, is that traditional medicine from Asian countries is flooding Nigerian markets. "It calls for serious attention from government. There is a need to look inward to develop local herbs for export. "We are tired of importing everything we need from outside. The time has come for us to look inward and see how we can export our traditional medicines,” the Minister said. He also expressed confidence in herbal medicine, stressing that many diseases that appear incurable through orthodox medicine can be cured with herbal medicines. The Minister visited Pa Giwa because of the respect the ministry had for him. He described Giwa as a herbal practitioner who distinguished himself in the area of prostate cancer and other ailments. He told Pa Giwa that the Federal Government would collaborate with him through Nigeria Natural Medicine Development Agency to enable other Nigerians benefit from his knowledge. To ensure the success of the plan to develop herbal medicine for use locally and abroad, the Federal Ministry of Health and the National Institute for Pharmaceutical Research and Development (NIPPRI) will be involved in the process. 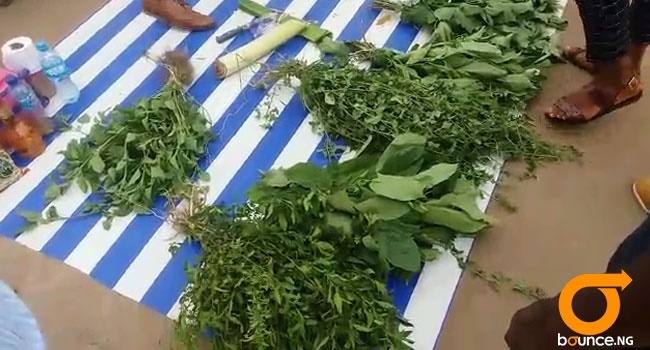 Pa Giwa, a 90-year-old traditional medicine practitioner, specialises in the treatment of prostate cancer, hypertension, stroke, diabetes, rheumatism, Sexually Transmitted Diseases and other ailments using local herbs. As part of government's support for his exploits, Giwa’s clinic would be expounded to a four-bedroom flat to enable him accommodate more patients. The government will also provide him with a vehicle to enhance mobility. The man, who has treated people from different parts of Nigeria, thanked the minister for deciding to expand his clinic and give him a vehicle, saying the gestures would go a long way to assist him in his work.